The workplace goes beyond office cubicles, and workwear encompasses far more than a mere pencil skirt and heels. There is an ever increasing number of females who are now jumping into male-dominated industries. 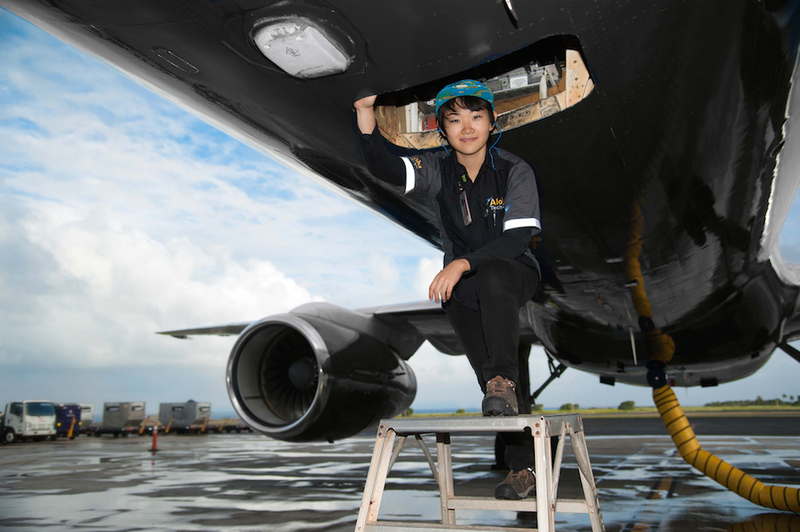 Sun Park is the perfect example of this – she’s an aircraft mechanic. As you can see, Sun fits quite well in her element. She is super cool! Outdoor jobs require certain work attire for an optimal and safe performance. Here are a few to consider. Each item is available in multiple color options. The waterproof jacket is interchangeable and comes with a removable hood!